Hi guys! For this post I have a laser mani to show you. I used yesterday's mani for it, OPI Dating A Royal. And on top of it I used China Glaze Jitterbug, a stunning must-have polish, in my humble opinion. 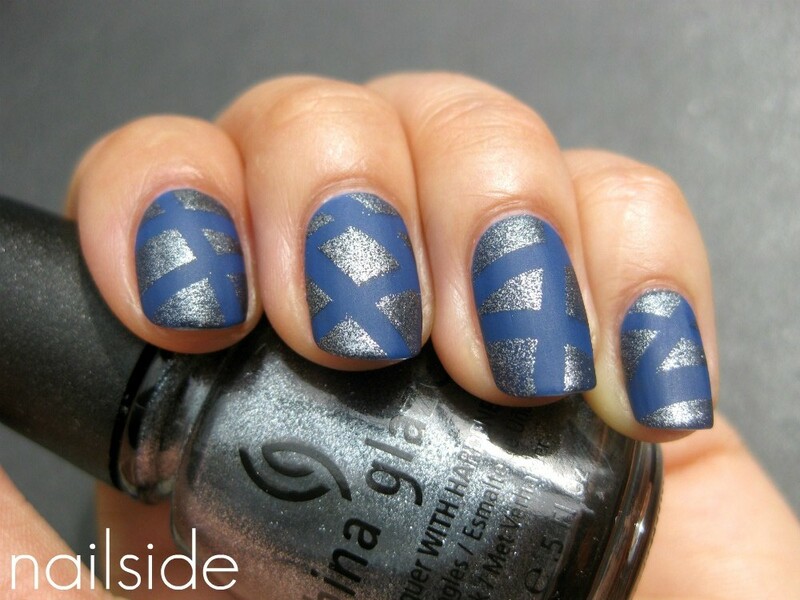 It has a dark grey base with a foil-like shimmer finish, which looks edgy on its own, but matches any other color as well. I like it a lot :) To make the laser pattern show up better I added a matt topcoat afterwards, the one I use is from Essence. 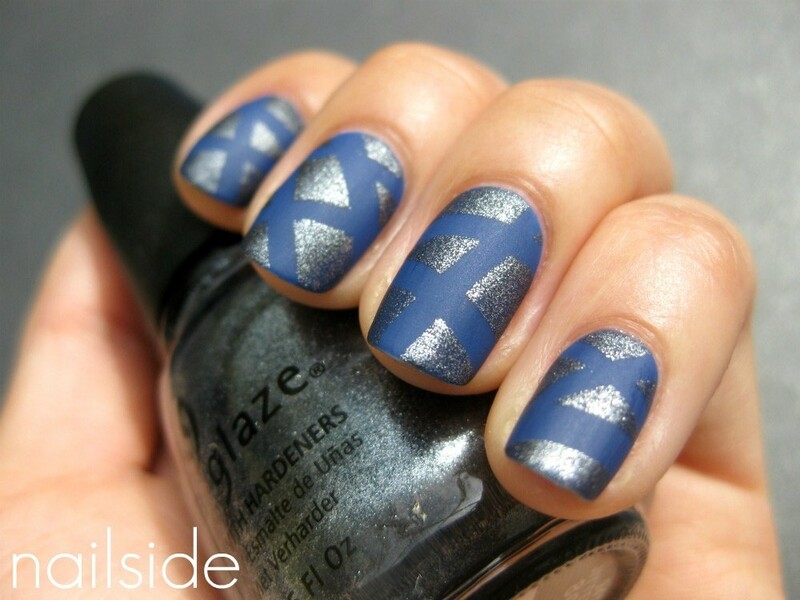 If you like to do this look yourself, just have a look at the tutorial. It's quite simple and a fun way to combine different colors or finishes. Thanks for reading! Love this look. I think I may try this out today. I should try this sooner or later! Ontzettend mooi! Deze wil ik morgen uitproberen! Ben benieuwd of het me lukt.